Perfect for table top space and/or additional storage. 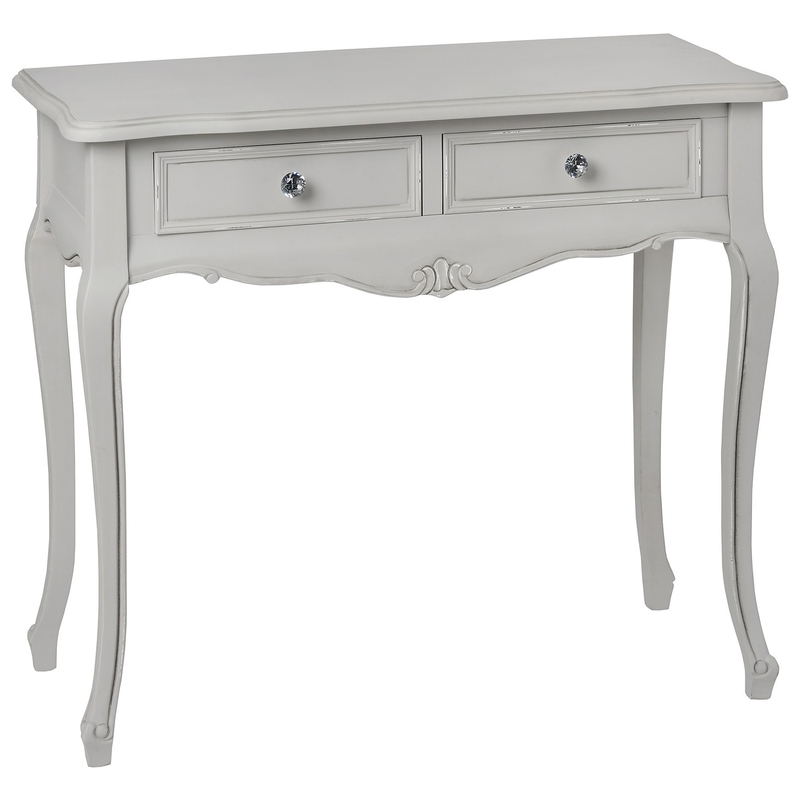 Crafted from wood, featuring shabby chic curves and detail, this wonderful Fleur 2 Drawer Console Table has been built to last. A desirable piece of furniture for anyone who loves shabby chic furniture and is in need of some table top space or extra storage room due to its 2 drawer design, perfect for in a living room or dining room.